Writing a faith-based book was never in my plan for my life….. I experienced God's guidance for me in writing two previous books, The 3 Secrets to Effective Time Investment, and How to Invest Your Time Like Money, but they were firmly in the business time management space. I appreciated how they made a positive impact in many people’s lives and helped expand my influence and credibility in the business world. But then everything started to change in the summer of 2015, when I felt God commanding me to give Him the glory in my business. I really wasn’t sure what that meant. I had been a business owner for 10 years and I was never ashamed of my faith, but I didn’t advertise it. Now in regard to God’s command, I wasn’t sure how to respond. Did He want me to stop doing anything with time management, my area of expertise? Or was there another solution? What ended up emerging after about a month and a half of wrestling with this question was God prompting me to start a Divine Time Management group coaching program as part of my business as well as writing a book proposal for my first Christian inspirational book. How the process works with non-fiction books is that you write a book proposal, then your book agent pitches that proposal to publishers. If one of the publishers chooses to offer you a contract then you write the book. 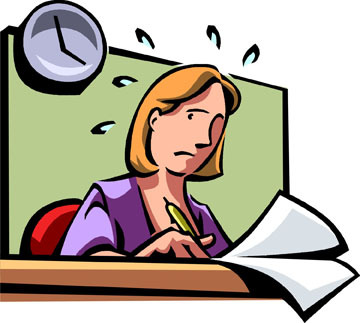 I started on the proposal for Divine Time Management in January of 2016. I believed God had called me to this work, but from a practical perspective, it didn’t make much sense. I didn’t have an established Christian network to help with marketing. This is one of the most important considerations for publishers—how will you sell the book? But God told me that He would give me favor and to not worry about the fact I didn’t have as large a Christian platform as I had a business network. And He came through, I got a publishing contract in the summer of 2016 with FaithWords, a publisher of authors like Joyce Meyer and John Maxwell. Since then, it’s been a journey of faith in writing the book, editing the book, creating the video book trailer (you can view it at www.DivineTimeBook.com), narrating the audiobook, and preparing for the release of the book. God has given me courage and favor each step of the way and continues to do so. One of the biggest things that I’ve seen in the process is that you need to walk in obedience and as you do, God provides exactly what you need exactly when you need it. From providing time to do the extra work to write and edit a book to connecting me with Christian videographers who could create a film to giving me favor with people who could promote my book, I didn’t have the resources when I started the journey but the resources appeared along the way. My encouragement for you is that if God is calling you into new territory in business or in other parts of your life that you will have the courage to move forward in trust that God will provide. When we’re willing to do things that don’t make sense and that may even look foolish to the world but are God’s call for our lives, we will experience the most blessings possible and bring God’s kingdom to earth. Most time management is about getting control by putting our plans first and our plans at the center. 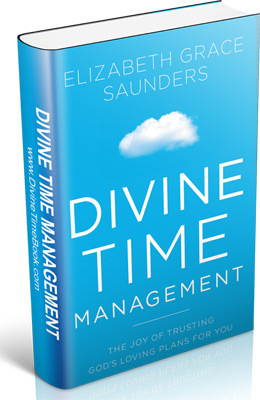 Elizabeth Grace Saunders in her new book, Divine Time Management: The Joy of Trusting God's Loving Plans for You, turns the order upside down. She demonstrates how to recognize wrong approaches to time management and how God wants us to learn to surrender control of our plans by putting God first and aligning our plans with his loving plan for us. She challenges us to think of time management in terms of our identity and relationship with God, and how we align with God’s purposes for us. This book is an excellent introduction for Christians who want to grow in stewarding their time well and purposefully for daily life, work and mission. 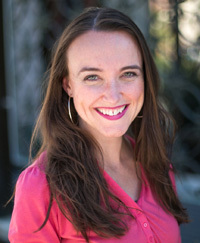 Elizabeth Grace Saunders is an internationally recognized expert on effective time management and the founder of Real Life E Time Coaching and Speaking. Her company partners with individuals on the journey from feeling guilty, overwhelmed and frustrated to feeling peaceful, confident and accomplished. FaithWords published her third book on Divine Time Management: The Joy of Trusting God’s Loving Plans for You. Find out more about the book on www.DivineTimeBook.com now available for purchase on Amazon or wherever books are sold in print, e-book, and audiobook edition. Return to Table of Contents or Archives • (c) copyright 2017 - 2018 The Sword of the Spirit .